China’s second unmanned lunar probe, Chang’e-2, is expected to have enough fuel to fly back to earth, Zhou Jianliang, the vice chief-designer of the Beijing Aerospace Control Center (BACC) said this week. Zhou said there are three possible “fates” for Chang’e-2 after it finishes its six-month mission: landing on the moon; flying to outer space; or returning to earth. 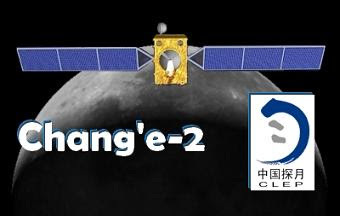 The fate of Chang’e-2 will be decided according to its condition when the mission is complete, expected in the spring of 2011. A deep space mission or a return to Earth would be a Chinese space first. A controlled lunar crash would be a repeat and therefore an unlikely scenario.